Great Smoky Mountains National Park officials announced the closure of the Whiteoak Sink area effective now through March 31 to limit human disturbance to bat hibernacula and help hikers avoid interactions with bats. Park biologists will be monitoring the site throughout the winter collecting population, ecological and behavioral data that will inform resource managers developing a long-term protection plan. An extended closure through late spring may be recommended if the winter data suggests such an action would increase the chances for survival of a significant number of bats. "We first confirmed the presence of WNS in the park in 2010," said Park Wildlife Biologist Bill Stiver. "The impact has been devastating. We estimate that some of our cave-dwelling bat populations have already declined by 80% and we are doing everything we can to both slow the spread of the disease and protect the remaining animals by closing caves and areas near caves to the public." Great Smoky Mountains National Park is cooperatively working with other parks and federal, local and state agencies across the country to protect bats and manage cave habitats. In an effort to prevent the unintentional spread of WNS by people, the park closed all of its 16 caves and two mine complexes to public entry in 2009. Ongoing research in the Smokies includes monitoring bat populations in the winter during hibernation and tracking bats in the summer to determine habitat use. A recent plan released by the U.S. Fish & Wildlife Service aimed at stabilizing the dramatic decline of the Indiana bat identified hibernacula found in the Sinks as one of only 13 sites across the country identified as critical habitat for this endangered bat. Wildlife biologists have determined that giving the bats the chance to survive includes establishing protective zones surrounding critical habitat caves. For more information about bats, please the park website. As a follow-up to a posting from earlier today, I just found out that the U.S. Forest Service is backing away from a threat to impose fees on photographers who take photos on national forest lands. In a press release issued late last night, U.S. Forest Service Chief Tom Tidwell stated: “The US Forest Service remains committed to the First Amendment. To be clear, provisions in the draft directive do not apply to news gathering or activities. The statements are the result of an apparent firestorm from a recently proposed, but vaguely-worded rule, that some have interpreted to mean that the USFS would be imposing fees on professional media, as well as amateur photographers, for taking photos on national forest lands. This had some First Amendment advocates alarmed. The proposal does not change the rules for visitors or recreational photographers. Generally, professional and amateur photographers will not need a permit unless they use models, actors or props; work in areas where the public is generally not allowed; or cause additional administrative costs. However, neither Tidwell or the press release makes clear how, or if bloggers would be impacted in anyway. Although I do think bloggers would ultimately be part of the exemption, it's not entirely certain to me. Great Smoky Mountains National Park, in cooperation with the Smoky Mountains Astronomical Society, will offer a 2 ½-hour stargazing program in Cades Cove on Saturday, September 27 beginning at 7:30 p.m. Experienced astronomers and numerous telescopes will be on hand to provide a discovery of the autumn sky’s position of stars, galaxies, and constellations, including the Milky Way. 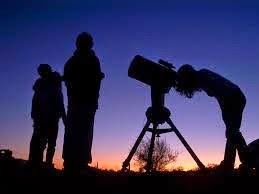 In case of rain or cloud cover where night skies are not visible, the program will be canceled. Participants for the program should park near the exhibit shelter at the entrance to the Cades Cove Loop Road. A park ranger will walk with the group one-third of a mile to a nearby field to the viewing location. No vehicles are allowed to drive to the site. 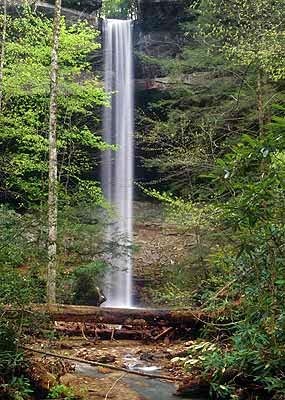 Imagine walking into the Cherokee National Forest and snapping a few photos of your favorite mountain, wildflower or bear. Then suppose, since your photos turned out to be pretty awesome, that you decide to post them on your blog. Or, perhaps you're an amateur photographer and you thought that maybe you could make a few bucks by selling a print of one of those photos at a local art fair. Now, imagine getting slapped with a $1000 fine from the U.S. Forest Service for failing to obtain a permit to take that photo! Getting that permit isn't exactly walk in the park, either. The U.S. Forest Service wants a $1500 fee to purchase that permit in the first place! If the USFS gets its way, those scenarios could become fact. U.S. Sen. Ron Wyden from Oregon weighed in with this statement: "The Forest Service needs to rethink any policy that subjects noncommercial photographs and recordings to a burdensome permitting process for something as simple as taking a picture with a cell phone. Especially where reporters and bloggers are concerned, this policy raises troubling questions about inappropriate government limits on activity clearly protected by the First Amendment." The Forest Service proposes to incorporate interim directive (ID) 2709.11-2013.1 into Forest Service Handbook (FSH) 2709.11, chapter 40 to make permanent guidance for the evaluation of proposals for still photography and commercial filming on National Forest System Lands. The proposed amendment would address the establishment of consistent national criteria to evaluate requests for special use permits on National Forest System (NFS) lands. 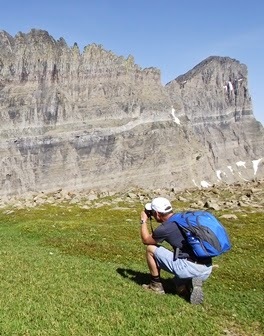 Specifically, this policy provides the criteria used to evaluate request for special use permits related to still photography and commercial filming in congressionally designated wilderness areas. Public comment is invited and will be considered in the development of the final directive. So what if this rule (and thinking) makes its way over to the National Park Service? More importantly, who owns our "public lands" anyway? For more information, or more importantly, to voice your opinion, please visit the Federal Register website. The USFS will be accepting comments through November 3, 2014. 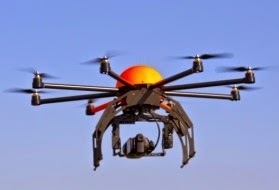 The National Park Service has developed an interim policy prohibiting the use of unmanned aircraft on NPS managed lands of the Appalachian National Scenic Trail. This is a new park use that could affect park resources, staff, and visitors in ways that the National Park Service has yet to identify, analyze and examine. It's the National Park Service policy to not allow a new park use until a determination has been made that it will not result in unacceptable impacts on park resources and values, plus staff and visitor safety. The closure prohibits the launching, landing, or operating an unmanned aircraft from or on lands and waters administered by the National Park Service within the boundaries of the Appalachian National Scenic Trail. This interim policy went into effect last month, and will remain in place until the National Park Service can determine the most appropriate policy that will protect park resources and provide all visitors with a rich experience. 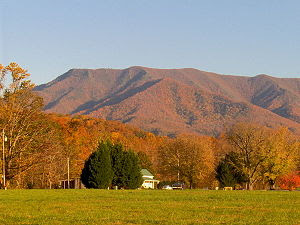 Great Smoky Mountains National Park invites the public to join park staff in Cades Cove on Saturday, September 27, 2014, for the 21st annual celebration of National Public Lands Day. Volunteers are needed for this year's event to collect seeds from native plant increase fields in Cades Cove. The increase fields are used to produce seeds from wild native grasses and forbs, which are used to help restore native populations to the Cades Cove meadows. Native plants in the meadows provide vital habitat to small mammals, ground-nesting birds, insects and other small animals. Those interested in volunteering with this event should contact Acting Volunteer Coordinator Jamie Sanders at (865) 436-1265. Reservations are required. National Public Lands Day is our nation's largest single day of service for public lands. Over 2,000 city, state, and federal sites provide opportunities to support public lands annually. For more information on National Public Lands visit publiclandsday.org. Where can you meet intrepid pioneer Rebecca Boone, the murderous Harpe brothers, and famed conservationist Gifford Pinchot, and still stay right in beautiful Cumberland Gap? During the annual Heritage Walk of course! For the fourth year in a row, Cumberland Gap National Historical Park is presenting "Within the Shadows of Cumberland Gap Heritage Walk. "Once again, the park will be shedding light on some of the lesser-known stories and people from the area's past. Unlike previous years, however, the event will be held over a period of several hours during the day, and visitors can wander along the old Wilderness Road trail at their leisure versus being in guided groups. "This has been such a popular event in the past, we decided to open it up to everyone throughout the day," explains Park Ranger Sharon Griffin. From 10 a.m.until noon, and then again from 2 p.m. until 4 p.m. on Saturday, September 27th, visitors can park at the Thomas Walker parking area at the junction of Pinnacle and Sugar Run Roads on the Kentucky side of the park and wander the old trail through the beautiful Cumberland Gap, meeting people from history along the way. At the end of the 1.5 mile trail at the Daniel Boone parking area in Virginia, visitors can board shuttles to return them to their vehicles. "Remember to wear good walking shoes and bring water," advises Ranger Griffin. "And bring your camera, as you never know who you will meet!" This program is being co-hosted by the Friends of Cumberland Gap National Historical Park and Eastern National. 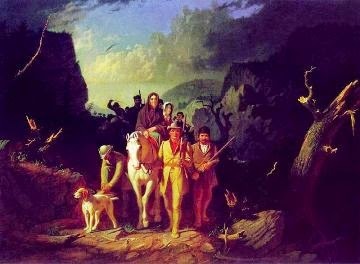 For more information about Cumberland Gap National Historical Park, please call (606) 248-2817 or visit www.nps.gov/cuga. Big South Fork National River and Recreation Area will be celebrating National Public Lands Day on Saturday, September 27, 2014. National Public Lands Day is the nation's largest, single-day volunteer event in which eight federal agencies as well as other groups partner together to maintain and protect the environment. Anyone wishing to volunteer on Saturday has a choice of working at five different projects in the park. On the Kentucky side of the park, volunteers should be at the Blue Heron Maintenance building located off Highway 742 near the Blue Heron Campground by 9:00 a.m. ET. Volunteers are needed to work on the Blue Heron Loop Trail and Yahoo Falls area and work will include trash pickup, installing signs, and clearing trails. Volunteers can also work on the Honey Creek Loop. They will need to gather at the Honey Creek Look Trailhead at 9:00 am. Activities will consist of completing the new John Muir section that connects to Honey Creek Loop. There will be a group gathering at the Oscar Blevins Farm at 9:00 a.m. Work will consist of building a board walk on the Oscar Blevins loop trail and general trail maintenance. Another group will gather at the Bandy Creek Amphitheater parking area at 9:00 a.m. Participants can work on clearing, blazing,and water-bar cleaning of bike trails or help with litter pick up, clearing Bandy Creek loop, and other trails in the Bandy Creek Area. Volunteers can also gather at the Leatherwood Ford Trailhead at 9:00 a.m. Work will consist of blazing the John Muir Trail. Everyone should wear sturdy shoes and bring bug spray and drinking water. All projects will be completed by 2:00 p.m. More information can be found at www.publiclandsday.org, or you may call Wally Linder at (423) 569-9778. The Outdoor Industry Association® (OIA) applauds the introduction of the U.S. OUTDOOR Act in the U.S. House of Representatives by Representatives Dave Reichert (R-WA) and Earl Blumenauer (D-OR); and in the U.S. Senate by Senators Maria Cantwell (D-WA) and Kelly Ayotte (R-NH). Developed in close consultation with the outdoor industry, the U.S. textile industry, and congressional representatives, this bipartisan piece of legislation will lower costs for outdoor industry businesses, prevent rising retail prices for consumers, and spur innovation by U.S. companies. * eliminates onerous duties on these new classifications. The Senate bill also includes the Sustainable Textile and Apparel Research Fund (STAR Fund) that will promote U.S. jobs and technologies through investments in American research programs and services towards sustainable, eco-friendly apparel supply chains. The commercial manufacturing industry for recreational performance outerwear moved offshore decades ago, primarily following the technological advancements and commercial manufacturing capacity that are required by U.S.-based outdoor companies. According to the International Trade Commission there is no commercially viable manufacturing of recreational performance outwear in the U.S. In fact, the bill has been thoroughly vetted with the domestic textile and apparel industry to ensure that none of the products covered by the bill are produced in the U.S. The high tariffs that remain (some as high as 30%) make it harder for millions of Americans to enjoy outdoor recreation in our parks and public lands and, at the same time, stifle innovation, economic growth and the creation of new jobs. If enacted, the bill will add to the $646 billion in consumer spending and the 6.1 million jobs generated by the outdoor industry. OIA is encouraging consumers and its outdoor companies to contact their members of Congress to request support for the legislation. Original co-sponsors of the legislation include Representatives Greg Walden (R-OR), Mike Thompson (D-CA), Erik Paulsen (R-MN), and Jared Polis (D-CO) in the House, and Senators Roy Blunt (R-MO), Dianne Feinstein (D-CA), Patrick Leahy (D-VT), Jeff Merkley (D-OR), Rob Portman (R-OH), and Jeanne Shaheen (D-NH) in the Senate. Although the winter weather in the Smokies may be tolerable on short walks and hikes, if you get lost or find yourself alone and in trouble in the region during the winter, you will need to know how to keep yourself alive and well whilst help is on its way. The average low winter temperature around the base of the Smokies tends to be around 28°F degrees (-2°C), but at the highest altitudes, the temperature can decrease to 18°F (-8°C), and even temperatures of -20°F aren’t unheard of. This means that you’ll really need to know how to look after yourself. 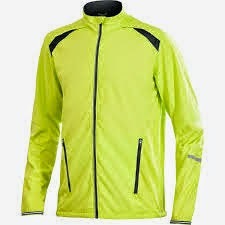 You should always start with the basics, and in this circumstance, the basics amounts to high quality outdoor clothing like that available from e-Outdoor that will protect you from the worst of the elements. But then what? Here are three vital survival tips. Are You a Pro Fire Starter? Knowing how to start a fire is probably the most important piece of knowledge you can have if you get stuck in the Smokies during the winter. Not only will a fire keep you warm and dry, it will also allow you to cook food, ward of any irritating bugs, and even act as a signal during the night to those who could be coming to rescue you. With that in mind, don’t ever just carry one fire-starting tool: carry them all. This way you can be sure you’re covering all bases. Could You Build a Survival Shelter? Once you’ve built your fire, it’s time to construct a make shift shelter to help keep you warm overnight. The best way to do this is to always carry with you a reflective tarp as this can be used as the base material for the shelter and can be secured using some parachute cord. A third item that you would be mad to leave base camp without would be some trash bags, as these can be used to waterproof the floor of your shelter, or can even be fashioned into a raincoat to keep you dry. Do You Know How to Keep Hydrated? Finally, it’s obvious that locating water is essential if you’re stuck for any length of time. If it’s icy though, you’ll need to know how to convert that ice into drinkable water. A good technique is to create “snow marshmallows” by packing snow around the end of a stick and then putting them close to a fire so the water starts to drip. So there you have it: three of the most important survival tips for if you ever find yourself lost in the Smokies. Great Smoky Mountains National Park officials will temporarily close two gravel, one-way roads in Cades Cove for grading and hazardous tree removal work. Rich Mountain Road will be closed on September 22 and 23. Parson Branch Road will be closed on September 24 and 25. During the closures, the roads will be closed to all traffic including pedestrians. Both roads are regularly closed two to three times a year for routine maintenance. All work will be completed during the week to minimize disruptions to park visitors and neighboring communities. For more information about road closures, please visit the park's website. Last week's NPS Morning Report announced in two separate postings that rangers have nabbed several ginseng poachers within Great Smoky Mountains National Park in recent months. On August 6th, Rangers Wes Mullins and James Latendresse arrested Christopher Ian Jacobson, 31, of Cosby, Tennessee. Jacobson unsuccessfully attempted to flee from rangers upon being contacted, but was caught and placed into custody. Jacobson pleaded guilty to the illegal possession of 298 ginseng roots; he was sentenced to 80 days in prison and was ordered to pay a $1,000 fine. This past July park rangers came upon an unoccupied vehicle parked along Little River Road in an area known for ginseng poaching and began surveillance of the area. After more than two hours, three men returned to the vehicle with dirty clothing and hands, which indicated that they’d been crawling on the ground on their hands and knees. Field Training Ranger Will Jaynes and Field Trainee Zebulon Whitaker contacted the men. During the ensuing interview, the rangers observed several digging tools in the vehicle. All three subsequently admitted to illegally harvesting ginseng from the park. Several bags containing ginseng were located within the car. In all, 870 roots, more than five pounds, were recovered. All three men were issued mandatory appearance citations. A week prior to this incident, Jaynes and Whitaker were working in the Greenbrier area of the park when they saw two men in possession of a tool that could easily be used for digging in the ground. An investigation revealed that both men were also in possession of illegally harvested ginseng from the park. In this case 29 roots were recovered. Both men were issued mandatory appearance citations. Acting Cosby Area Supervisor Chuck Hester assisted. On June 28th Rangers Wes Mullins, James Latendresse and Jason Campos were conducting a backcountry patrol in an area of prime ginseng habitat when they spotted a man with a history of ginseng poaching. The rangers were able to move in on him without being detected. The man – Billy Joe Hurley, 46, of Bryson City, North Carolina – was known to rangers as having a history of convictions for ginseng poaching and other offenses within the park. He was arrested for the illegal possession or harvesting of American ginseng from the park. Hurley admitted to possessing 83 ginseng roots he had illegally dug from areas in the park and later pleaded guilty to the poaching charge in court – his fourth such conviction. On August 28th, he was sentenced to serve five months and fifteen days in prison. Over the past 12 months, rangers have seized 2,345 illegally harvested ginseng roots from both North Carolina and Tennessee areas of the park and charged 26 individuals in connection with these crimes. In each case, once the roots were processed as evidence, rangers worked closely with staff from the park’s division of resource management and science to replant suitable roots elsewhere in the park. Great Smoky Mountains National Park officials have extended the Chimney Tops Trail closure through December 11th to fully complete the 3-year trail rehabilitation. The trail will continue to be closed each Monday through Thursday as workers complete the full-scale rehabilitation. The trail is open Friday through Sunday each week offering hikers a unique opportunity to see improvements taking shape along the trail. "We appreciate the patience and support of hikers during the restoration of Chimney Tops Trail," said Acting Superintendent Clay Jordan. "The highly-skilled Trails Forever crew, along with volunteers, have accomplished an amazing feat by turning a heavily eroded trail into a durable trail that will better protect delicate trailside resources and serve visitors well into the future." The combination of heavy use, abundant rainfall, and steep terrain turned the Chimney Tops Trail into a badly eroded obstacle course of slick, broken rock, exposed tree roots, and mud. Since April 2012, The Park’s Trails Forever Crew has been rebuilding the trail using durable stone and rot-resistant black locust timbers that will stabilize the trail for decades to come, reducing annual maintenance and greatly improving the visitor experience. 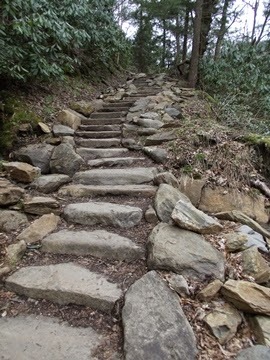 Trails Forever is a partnership program between Great Smoky Mountains National Park, the Friends of the Smokies who donated $500,000 to carry out the project on Chimney Tops Trail, and the generosity of the Knoxville based Aslan Foundation. For more information on the Trails Forever program, including how to become a volunteer, please click here. Great Smoky Mountains National Park officials remind park visitors to exercise caution as they view and photograph elk so that both the animals and themselves are protected. Elk are currently entering the fall breeding season, known as the rut. During this time period, from September 1 through October 31, fields in Cataloochee and Oconaluftee are closed to all use. Even if the elk are not present, people are not allowed to walk into the fields. During the rut, male elk make bugling calls to challenge other bulls and attract cows. Dominant bulls use the fields to gather and breed with harems of up to 20 cows. Bull elk actively defend their territory by charging and sparring with competitors using their antlers to intimidate and spar with other males. Encroaching too close may lead a bull to perceive you or your vehicle as a threat causing them to charge. Park Rangers encourage visitors to use binoculars, spotting scopes, or cameras with telephoto lenses to best enjoy wildlife. Feeding, touching, disturbing, and willfully approaching wildlife within 50 yards (150 feet), or any distance that disturbs or displaces wildlife, are illegal in the park. If approached by an elk, visitors should slowly back away to put distance between the animal and themselves creating space for the animal to pass. If elk are near the roadways, remain in or next to your vehicle at a safe distance from the animal. Park volunteers, through the Elk Bugle Corp, Oconaluftee Rover, and Roadside Assistance volunteer programs, provide on-site information and assist in traffic management at both Cataloochee and Oconaluftee during the rut season. Funds to support these programs are provided by Friends of the Smokies. 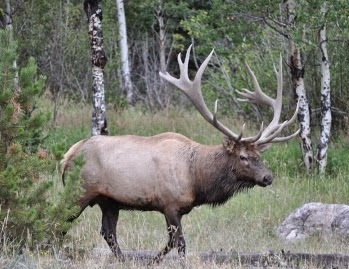 For more information on how to safely view elk, please click here. Below is a video from Ryan Commons that documents his hike across the Sierra Mountains along the John Muir Trail. Ryan made the trip from the Mt. Whitney Portal to Happy Isles in Yosemite National Park - 222.4 miles - in just seven days! Along the way he climbed a total of 42,000 feet, or, put another way, almost 8 miles of climbing! Obviously he put in some pretty insane milage each day to accomplish this goal. Ryan followed the trail up to Mount Whitney, which, at 14,496 ft, is the highest peak in the lower 48. 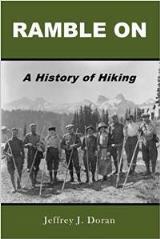 From there he passed through King's Canyon National Park, Sequoia National Park, and the Ansel Adams Wilderness before ending his journey in Yosemite. WINTER IS COMING - Seven Days on the John Muir Trail from Ryan Commons on Vimeo. I think you'll like this one. The locations featured in this short film are all in Virginia, and include the Peaks of Otter, Mt Rogers, Grayson Highlands State Park, McAfee Knob, Shenandoah National Park, Poor Mountain, and Mill Mountain. I accidentally ran into this video a few days ago, which was put together by Mike Maples in early July. The video takes a look back in time at the Elkmont area during the logging and railroad days. There are a lot of great photos included here.... especially if you like train crashes!